I have been continuing to research the connection between a poor digestion system and the severity of one’s psoriasis. I am hoping this post will offer immense value to people searching for easier ways to reduce their psoriasis symptoms. If you haven’t read my previous post on treating psoriasis naturally with enzymes please do so now as this article will build upon what was learnt there. We now know that combining dense proteins to carbohydrate meals slows down the release of sugars in protein which can aid weight loss and keeping stable energy levels. However by sticking to the food combination chart above we make it easier for our digestion system to operate in its most efficient manner. This is ideal for people with psoriasis, as they are known for not digesting protein correctly, and gives the body a chance to rectify itself and restore the body’s digestion system to a healthy balance. Please read the treating psoriasis naturally with enzymes article to learn which supplements to take to fix your digestion issues once and for all and in turn reduce your psoriasis symptoms. 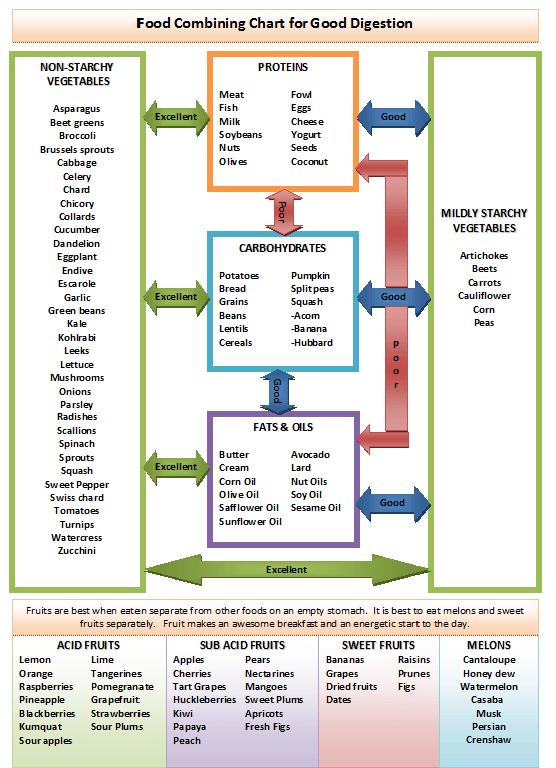 Eat 80% alkaline forming foods and 20% acid forming foods. This implies eat more vegetables and replace some of the denser protein foods (meat, eggs, cheese) with lower protein content foods like beans, lentils and wholegrains. Eat animal protein on its own or with vegetables – psoriasis sufferers should supplement with digestive enzyme supplements. Protein requires 3 hours for digestion. Do not eat until your body is awake. General rule of thumb is wait an hour. Try eating fast releasing non fermenting fruits like bananas or apples for breakfast. If you do like stimulants like tea or coffee, then enjoy these on their own. And try to keep them to moderate levels!